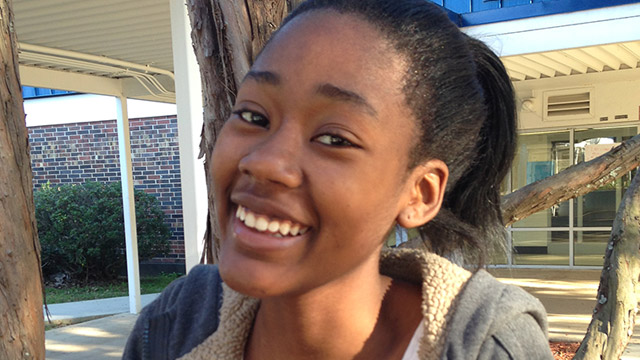 Alexis Clayton is a sophomore at Godby High School. This is her first year at Godby, last year she attended Lincoln. She is enrolled in the AVID program and it helps prepare her for college and keep her better organized. Her mom keeps her motivated and pushes her to make her proud. Alexis' advice to freshmen is to stay focused and keep your head in your books.